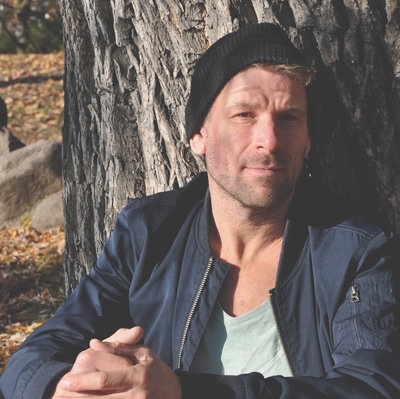 Robert Jan Liethoff is a Berlin based actor, director and voice & movement teacher from the Netherlands. In 2005, after finishing his acting studies at ‘De Acteerstudio’ (The Hague, the Netherlands), he moved to Berlin and expanded his studies in the field of dance and choreography at the Tanzfabrik Berlin. In 2007, he began his continuing studies at the Lichtenberg Institute for Applied physiology of the voice, where he completed both student and teacher programs and held a year-long residency studying the physiological dynamics between voice and movement. Using an interdisciplinary approach to the voice, Robert works with classical singers, choirs, actors, dancers and performers in the Netherlands, Germany and Mexico. His work with performers is focused on refining their auditory perception and developing physical sensitivity in order to clear the way for a warm, rich and spacious voice in a receptive body and mind. Since 2015, Robert has been a research associate at the spatial sound institute in Budapest where he developed a lecture performance for the 4D system, called Space Body Intelligence. Space Body Intelligence is a participative listening experience, which invites the audience to explore questions and ideas on the perception of sound. Space Body Intelligence was performed at Today’s Art Festival’s Circadian Program in the Netherlands and during the grand opening of the Spatial Sound Institute in Budapest. Robert’s first theatre production ‘Zocken.’ premiered in Berlin in September 2016.